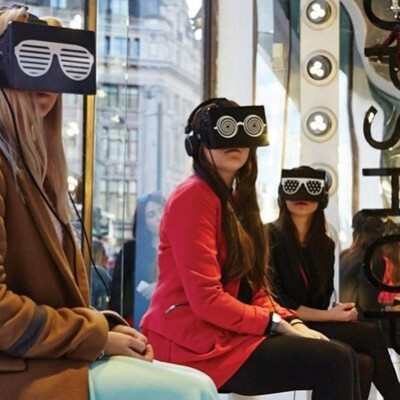 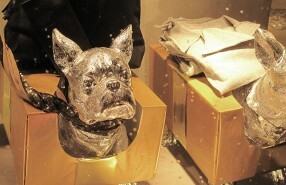 Azzurro store is all about dressing their target group with modern clothing lines. 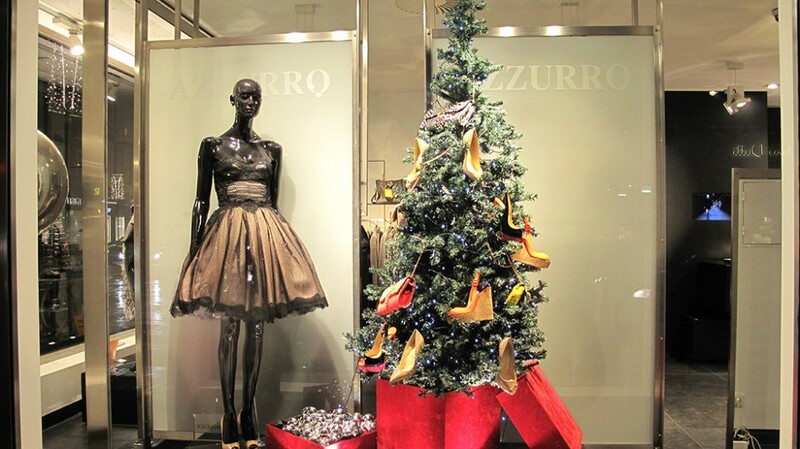 Azzurro Fashion Group has four shops: Azzurro, Azzurro Due, Azzurro Kids and Four where each is focused on different styles and target groups. 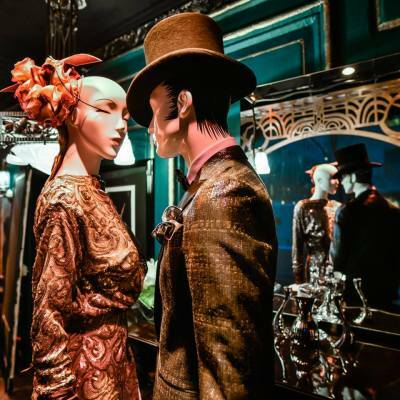 With strong brands like Alexander McQueen, Missoni, Roberto Cavalli and many more the love for quality and luxury comes forward. 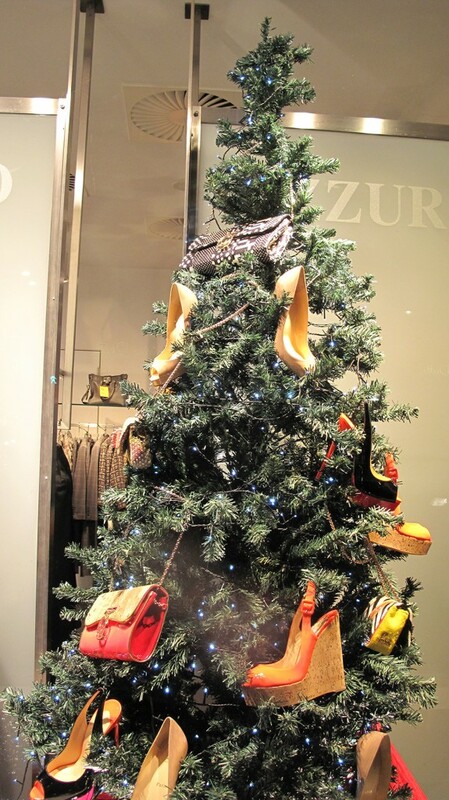 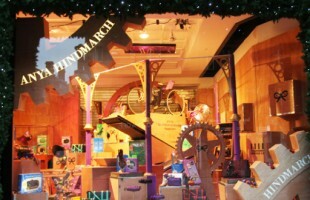 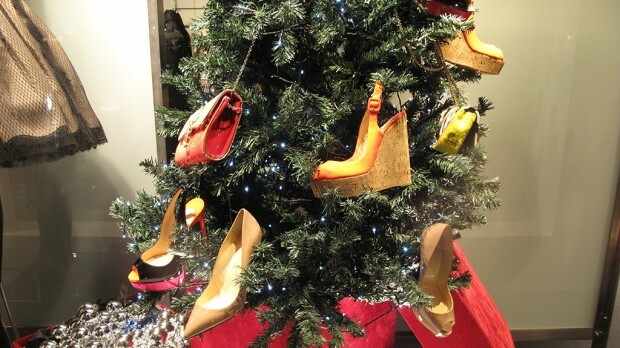 The Christmas window display of Azzurro has a Christmas tree with shoes and accessories hanging like ornaments.